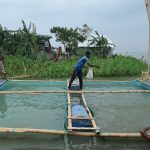 'Promoting Climate Smart Villages' project works to contribute to reduce hunger as well as increased food & nutrition security in Bangladesh’s two most vulnerable fragile eco-systems:Char & Haor regions. In a small house made of straw, bamboo, and tin in the village of Betial Uttar Para lives the family of Rina Begum. The area is located in the Jamuna river basin in Sirajganj district of Bangladesh, one of the most vulnerable regions to climate change. For the forty year old mother of six children (two sons and four daughters), every day is a struggle. 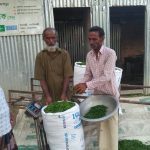 Her husband Majem Ali (50) is suffering from a chronic disease and is unable do any work for the past three years. 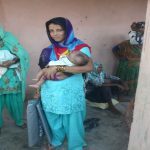 Her elder son Zahangir (22) is disabled and fully dependent on the family. Two of her daughters are married, while the younger son Innas (7) and daughter Moyna (5) go to school. 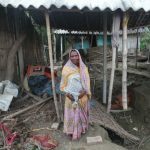 Rina Begum and her thirteen year old daughter Marjina Begum are the only earning members of their family. Marjina works at a small handloom factory and earns around BTD 400 (€4.7) per week. The job is not available round the year though, particularly during flood season. Rina rears her neighbours’ cattle on share basis to make some money. Earlier she used to stitch Nakshi Katha (a type of embroidered quilt made by old cloths) to earn her living. But poor eye sight has made sewing difficult for her. During floods, their house and homestead land are usually submerged in water, forcing them to take shelter at other places. For clean drinking water, they rely on their neighbours’ tube well. The family doesn’t have a functioning toilet either, forcing them to defecate in open fields. 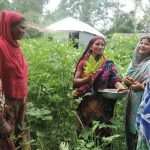 Through Welthungerhilfe’s partner in Bangladesh, Manab Mukti Sangstha (MMS), Rina came to know about Climate Smart Village initiative in May 2016. The project specifically focuses on extremely poor families, particularly women and children, who are most vulnerable to climate change and disaster. Rina’s family has been enrolled as a one of the target households. 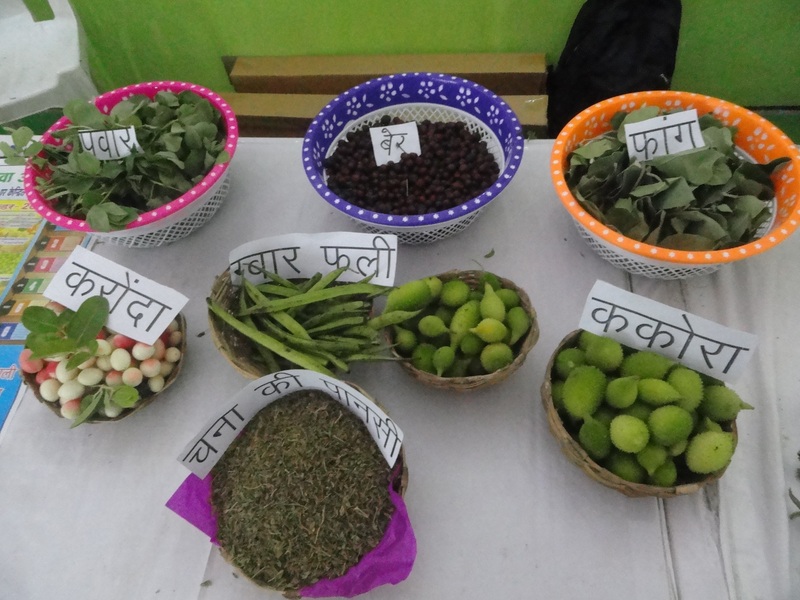 Under the programme, Rina, who has newly become a member of a Self Help Group (SHG), will get support in the form of vegetable seeds for her little homestead and trainings on nutrition, sustainable agriculture, natural resource management and disaster preparedness. 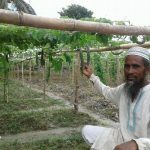 By reaching out 10,000 similar families over the next two years, Welthungerhilfe’s Promoting Climate Smart Villages’ project works to contribute to reduce hunger as well as increased food & nutrition security in Bangladesh’s two most vulnerable fragile eco-systems namely Char & Haor regions.